The kitchen is the one room in our house that we haven't really been able to do anything with (try as we might, no wall color can tone down the multi-colored backsplash tile - why, previous owners, why? ), but I dream of someday having a dark, dramatic kitchen. Although I see the appeal of a clean, white kitchen, my dream cucina evokes a dark, mellow Northern Italian restaurant. I'd combine elements of a classic European kitchen and dining space with industrial details. 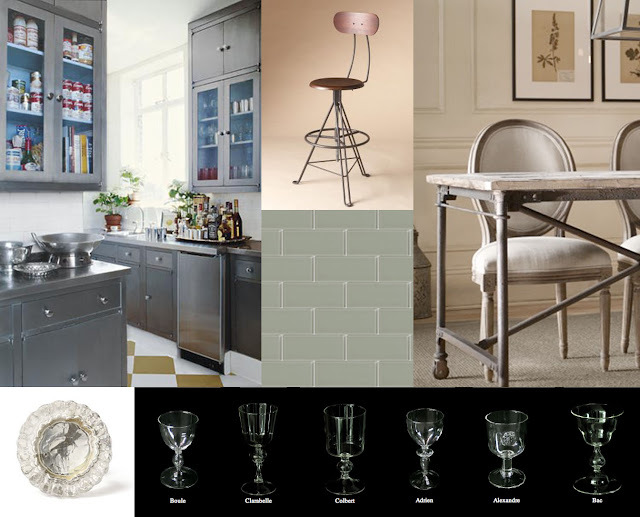 Image sources, clockwise from top left: image source unknown (probably Design*Sponge or Apartment Therapy), Scrivener's stool, Restoration Hardware, Astier de Villatte, notched glass knob, Solana glass subway tiles. 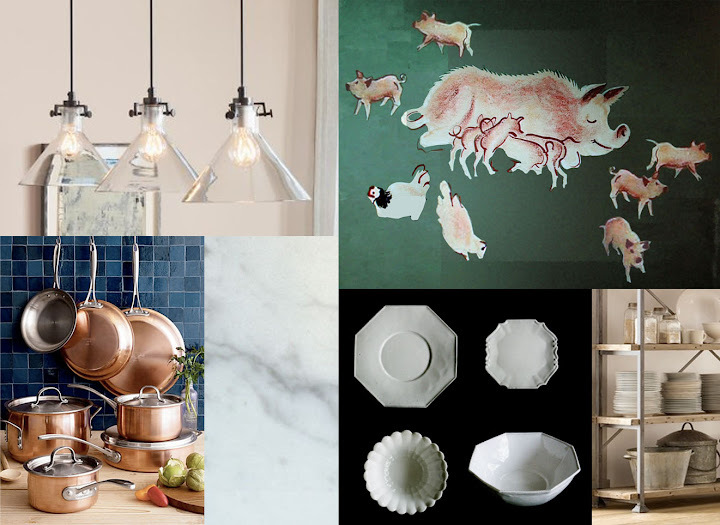 Image sources, clockwise from top left: meridian pendant, the Satriale's mural from The Sopranos, Restoration Hardware, Astier de Villatte, carrera marble, Calphalon Tri-Ply copper cookware.